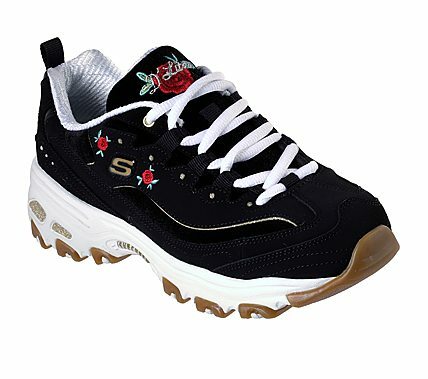 You deserve a bouquet of classic sporty style and wonderful comfort wearing the SKECHERS D'Lites - Rose Blooms shoe. Smooth leather and satiny fabric in a lace up sporty training sneaker design with stitching accents and embroidered roses detail. Air Cooled Memory Foam insole.